As broadcasters, we don’t really hear that much about ceramic power vacuum tubes these days, as more and more broadcast transmitters migrate to solid state devices. Once upon a time, however, power tubes where the engine that drove the entire operation. Tubes had to be budgeted for, stocked, rotated and replaced on a regular schedule. Some of those dern things were expensive too. Take the 4CX35,000A which was used in the Harris MW50 transmitters. The transmitter used two of these tubes, one in the RF section and one it the modulator. As I recall, new tubes cost somewhere north of $8,000.00 each from EIMAC. Plus, in the A models there were two 4CX1500A driver tubes. All of which could add up to an expensive maintenance cost every two years or so. The next best option was to buy rebuilt tubes. Rebuilt tubes were about half the cost of brand new ones. Some people complain that rebuilds don’t last as long, or only last half as long as the new tubes. I never found that to be the case. I often found other factors effected tube life far greater, such as filament voltage management, cooling and by extension, cleanliness. I can say I never had a warranty issue with ECONCO tubes. I cannot say that about EIMAC, as during the late 90’s and early 00’s (or whatever you call that decade) I had several brand new 4CX3500 tubes that were bad right out of the box. These days, ECONCO and EIMAC are both owned by CPI. I spoke with John Canevari from ECONCO who had a lot of information. For example, as the tube ages, the filament gets more flexible, not less. Most ceramic power tubes use a carbonized tungsten filament containing some small amount of thorium. As the tube ages, the filament can no longer boil off enough electrons and the emission begins to drop off. That is the normal end of life for a power tube. Occasionally, some catastrophic failure will occur. Dud is received from the field, the serial number is recorded and the tube is tested in. Filament is replaced. In 60-70% of the cases, the grid is replaced. In those tubes that have a screen assembly, 20-60% of those will be replaced. Tube is placed on the vacuum machine. Tubes are evacuated hot, smaller tubes take 12 to 24 hours, very large tubes can take up to one week. Exterior of tube is cleaned and replated. Silver for tubes that are socketed and Nickel for tubes that have leads. Tube is retested to manufacture’s original specification or greater. Econco has been in business since 1968 and rebuilds about 600-1,000 tubes per month. In the past, broadcasters used most of the larger tube types. However, with the majority of broadcast transmitters shifting to solid state, other markets have opened up such as industrial heating, military, research and medical equipment. 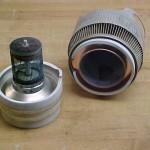 I have had problems with Eimac tubes also when the Salt Lake City plant was producing tubes. Some tubes were gassy right out of the box and literally “popped” upon application of plate voltage. The tube was the 8874 triode. Years ago, I also had problems with cathode-poisoning in the Eimac 8560A tetrodes. This is when we looked to Amperex in Hicksville, LI, NY. There was definitely an improvement and we still have Amperex 8560A tubes running beautifully today. When they are gone, they are gone because the Amperex plant on Long Island, I was told is full of weeds and effectively out of business. The quality out of this plant was A-1 in my book. 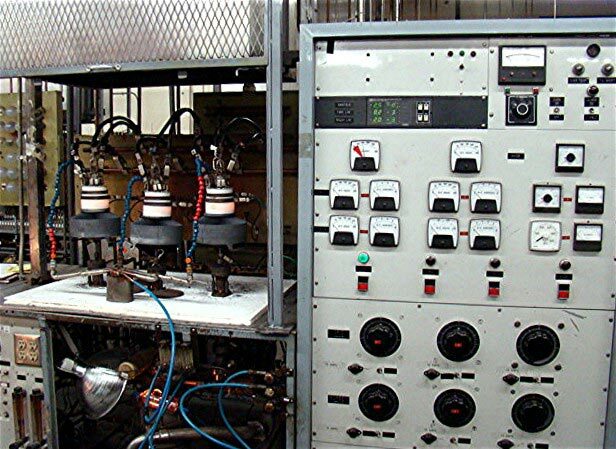 The 5924 triodes were used in the Standard 938 as well as the Rust FMT-5 grounded-grid FM transmitters. My experience with these tubes was excellent and the original tube remained in the 938 right up to the installation of the increased power BTF-20E on 102.9 MHz in 1971. I believe Eimac’s production facilities are now all in California, and the quality has improved greatly. As far as power-grid tube production these days, it is still going fairly strong. Maybe not so for broadcasters, but the medical industry is using many for MRI machines. Apparently the solid state power amplifiers used for this service around 60 MHz. have been somewhat troublesome under continuous usage, and it is back to tubes for the rescue! I was told at the NAB that over 15,000 of these tubes were sold last year. That’s a lot of tubes by any standard, especially at this state of the art. I have yc 156a tube and I waned 2 no if you all buy to rebuild tubes? Still a fair amount of valve based TX in AM broadcast in Australia, particularly in regional areas. One of the local stations is using an STC Transmitter (Standard Telephones and Cables) which I think is a 5kw unit tuned down to 2kw, on 1242khz. Seems to be the second last TX made by STC. The last one was bought by the company that then owned this station(5AU)and another in Adelaide (5KA). KA got the last one off the line, which I think is now in a private collection, 5KA is gone now, it moved to FM and is now 5MMM. It appears AU got the second last STC TX near as I can figure. This was in 1974. It’s still there and in use. STC ceased making broadcast gear in the 70s after tariff protection was removed and imported equipment became cost competitive. They were mostly good transmitters, reliable and sturdy. Geoff, Smaller AM tube rigs are still a good deal, they are rugged, reliable and generally they can be repaired with generic parts available anywhere. Anything above say 5 kw because cost prohibitive due to the high price of electricity. As the AM stations are thinly spread, they likely do not suffer adjacent and co-channel interference like stations do here. I am looking for Qty 5 of YC 150 Power Grid Tubes, new or used, 1 for immediate buy and rest in a month or so. Please send me quote including shipping to Tampa, Fl 33615. I can send you the bad tube after I buy good ones. can the 8874 tube be rebuilt ? I have 1 with high grid current. 1 with high plate current. 2 with half of their output ? @Frank, technically, the answer is yes. That being said, I don’t know if Econco will rebuilt a tube that size, but you may want to call them and find out, http://www.cpii.com/. They are the only tube rebuilder in business after Freeland closed down last year. Also, high grid current/high plate current? Hmmm, sounds like a mistuned condition. As it is a triode, I am assuming not grounded grid. What happens when you remove drive? Plate current should drop to zero, if not there is some type of oscillation going on. Hi, fascinating process. Thanks for listing tersely and succintly how its done. My question to you is this, can you rebuild audio pre-amp tubes from the 50’s that suffer from microphonics? I’m interested in the feasibility of building vintage pre-amp tubes from the 50’s in order to regain the tonality im interested in. Thanks!!! FYI the 8874 (3CX400A7) was never made in the Eimac Salt Lake plant. It was manufactured exclusively in San Carlos, CA. The small tetrode line (4CX250B & variants) was in production for some time at SLC, but was then transferred back to San Carlos in the early 1990’s. There were periodic issues with the small tetrode line (mostly shorts and grid emission) but most of those tubes were weeded out during processing. I worked at the Salt Lake facility from 1980 until 1997, at which time the Salt Lake plant was closed and all was dismantled, packed & shipped to San Carlos under the ownership of CPI. I was there when CPI purchased the Eimac; then a division of Varian. The Salt Lake building is still used by Varian Medical for the manufacturing of X-Ray tubes and hardware. The older Eimac building built aroung WW2 time was raized (as I recollect) during the 1970’s. 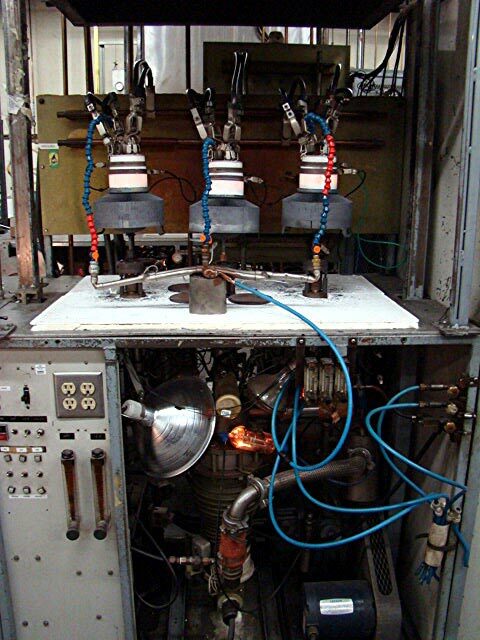 The first photo is of one of the many “stand pumps” which combined a vacuum system, bake-out oven, and associated power supplies to operate the tubes after cathode activation and out gassing. I’m guessing that photo to be either from San Carlos or possibly at Econco because virtually all of the higher dissipation rated tubes (~15KW and up) were built in California. 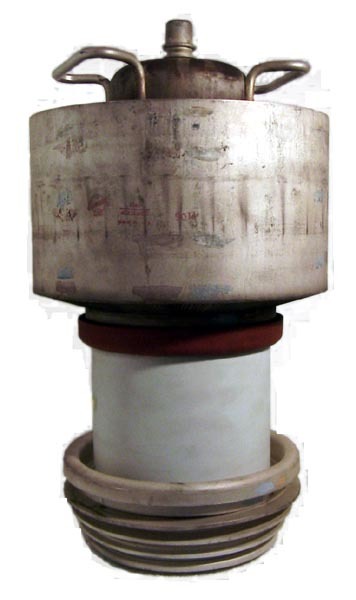 Salt Lake had pretty exclusive reign of most every glass tube made by Eimac during my employment, as well as most of the lower dissipation rated triode and tetrode metal tube line. You need to contact an actual tube rebuilder to ask that question. The only rebuilder left is Econco. I believe the YC156 is for medical (MRI) use, not broadcast, no? 8908’s are glass jacket tubes that are not rebuildable. There is currently a pair of NOS-GE’s on Ebay, as well as a pair of HyGain 760002’s, apparently a direct replacement. I don’t know of any other option short of re-engineering the rig to use a different tube. Thank you Chuck for the information on the 8908 tubes. I have an 3cx800a7 given to me with an amp and have sold the amp. Do not know if tube works. Do you check tubes like this? If so how much? As I know the Kennetron Inc. in East Taunton MA still rebuilds tubes as well as Econco does in Califronia. So there is still two transmitting and industrial tube rebuilders in US!